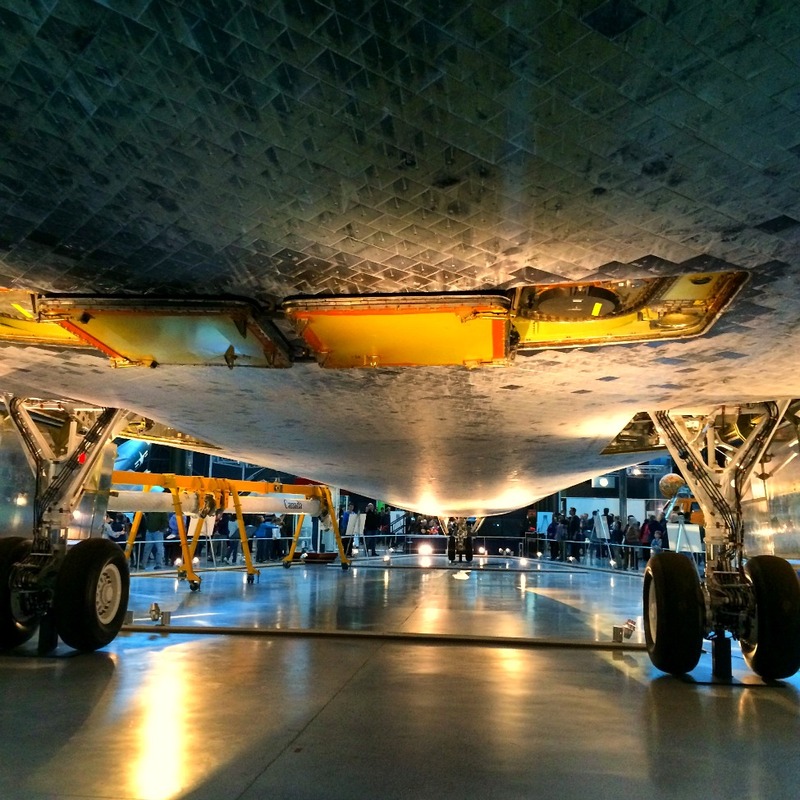 Did you know that there were actually two National Air and Space Museums in the Washington DC area? 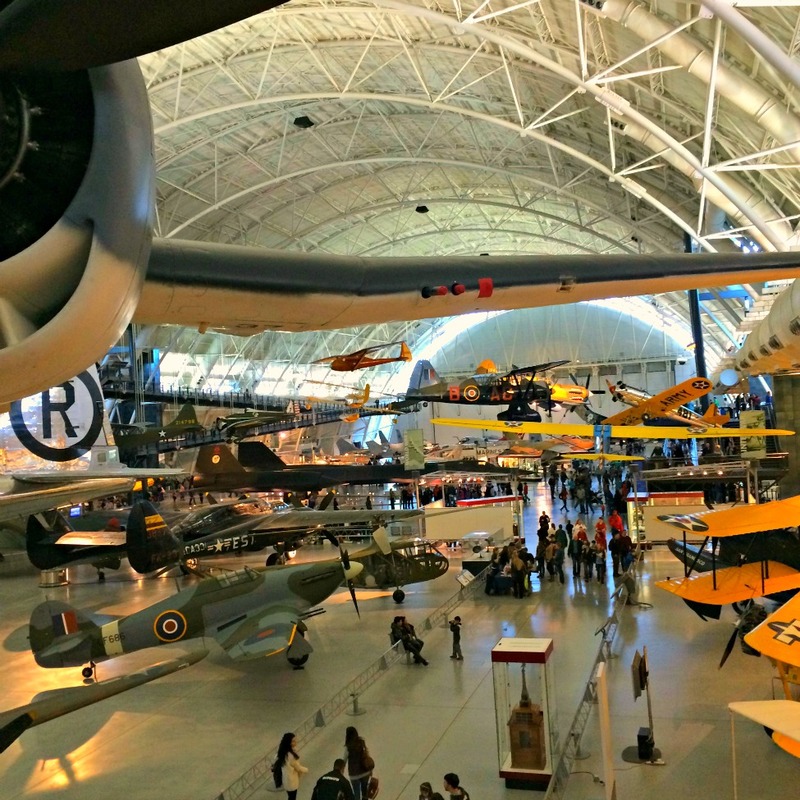 If you live in the greater DC area or are planning to take a vacation to Washington DC, you absolutely must check out the Steven F. Udvar-Hazy Center (commonly referred to as the Dulles Air and Space Museum). 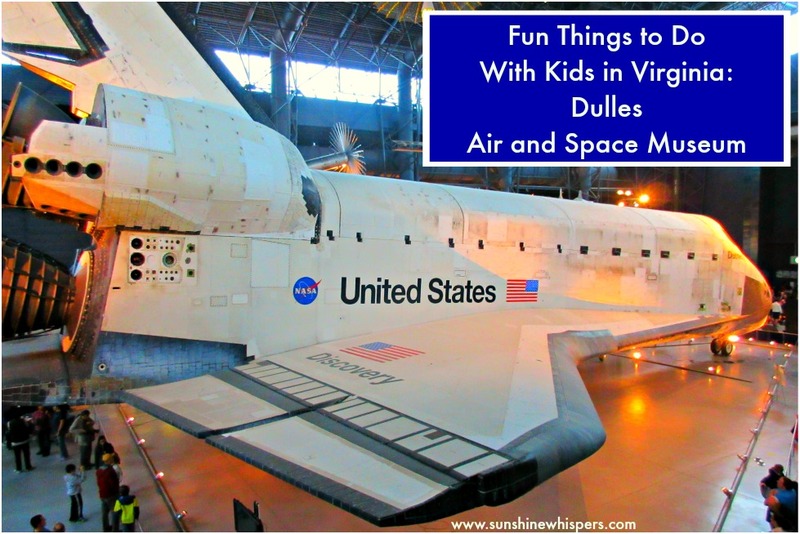 It is at the top of our family’s list of Fun Things to Do With Kids in Virginia and Washington DC. Read on to find out why! 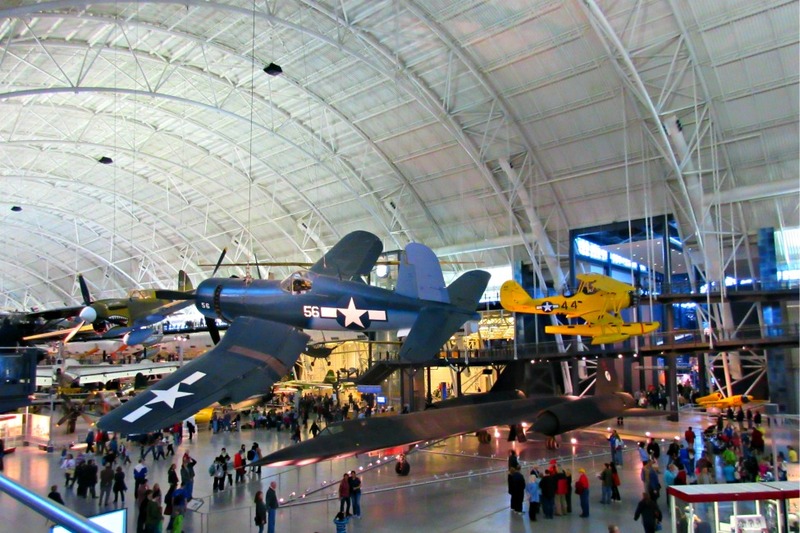 The Steven F. Udvar-Hazy Center is located in Chantilly, VA, adjacent to the Dulles International Airport. Many visitors to Washington DC consider the National Air and Space Museum on the National Mall to be one of the top DC tourist destinations. 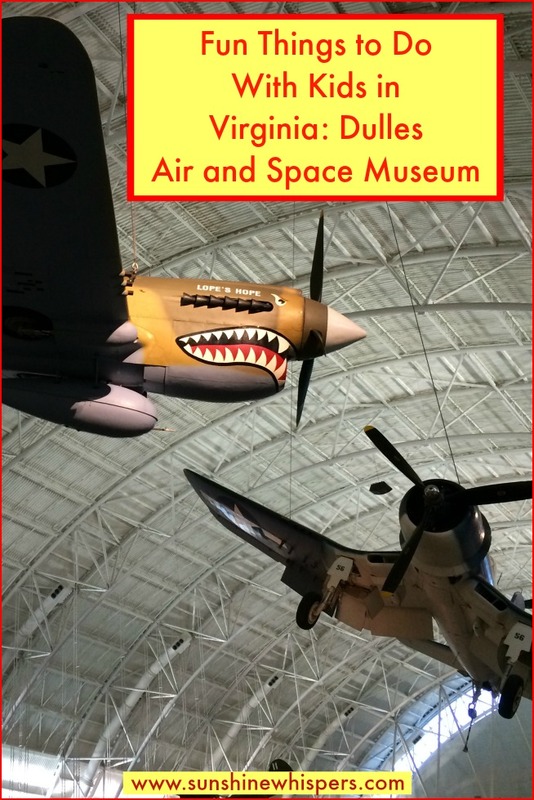 However, the Dulles Air and Space Museum is at least twice the size as the DC location. This museum opened in 2003 and has not stopped adding fantastic aircraft and spacecraft exhibits ever since. The main exhibit space in housed in two enormous hangars. As you walk to the initial viewing platform, you are greeted by the Boeing Aviation Hangar and a number of impressive/famous aircraft, such as the Lockheed SR-71 Blackbird, a reconnaissance aircraft that set a speed record on its last flight by flying from Los Angeles, CA to Washington DC in just over 1 hour. The Boeing Aviation Hangar is chock full of aircraft and will eventually have over 200 aircraft on display. That may not sound like a huge number until you realize they will fit over 200 (!!!!) aircraft in the museum… not dresses, or yo-yo’s, or taxidermy exhibits. Some of the more famous aircraft you can see on display include the Enola Gay, which dropped the first atomic bomb on Hiroshima, Japan, an Air France Concorde supersonic airliner, tons of experimental aircraft, and aircraft that flew in each of the major wars of the 20th century. The Udvar-Hazy Center plans a robust calendar of events for visitors, including a number of family days. 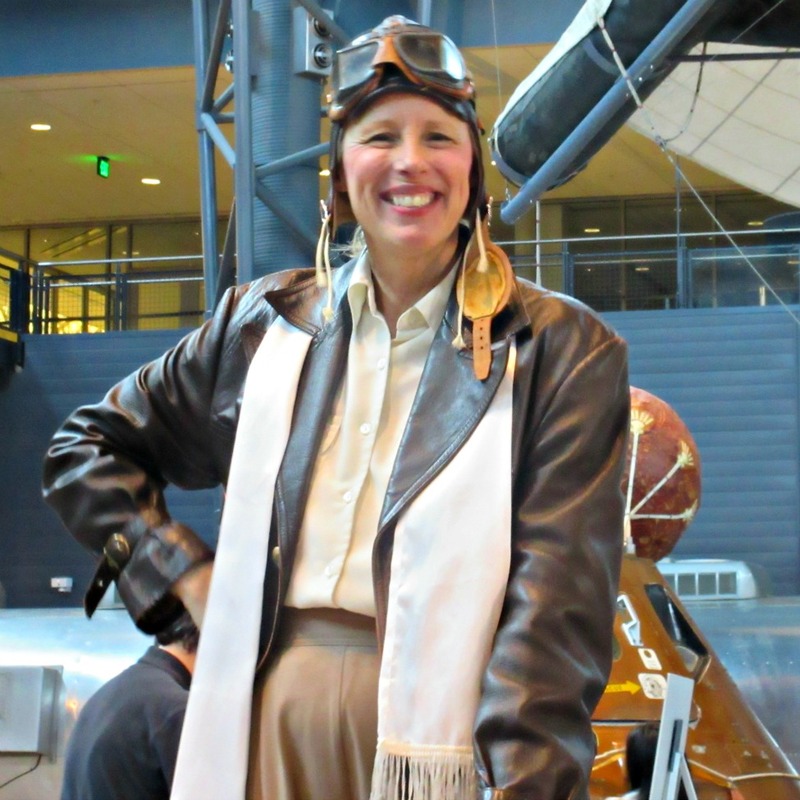 We recently brought Sweet Pea to a ‘Women in Aviation’ family day, where she was able to ‘meet’ Amelia Earhart, and make various simple aerospace-themed crafts. Of course, as awesome as the aircraft hangar is, the main draw of this museum is space shuttle Discovery! Space Shuttle Discovery, which is housed in the James S. McDonnell Space Hangar, is simply amazing. It is center stage in the space hangar and as you peruse the rest of the exhibits, you can’t help but admire the shuttle. In addition to Discovery, the space hangar houses a ton a quintessential space memorabilia such as a Redstone rocket, the mobile quarantine facility that Apollo astronauts stayed in after returning to Earth from the Moon, the Gemini VII space capsule, and other missiles from the Cold War Era. 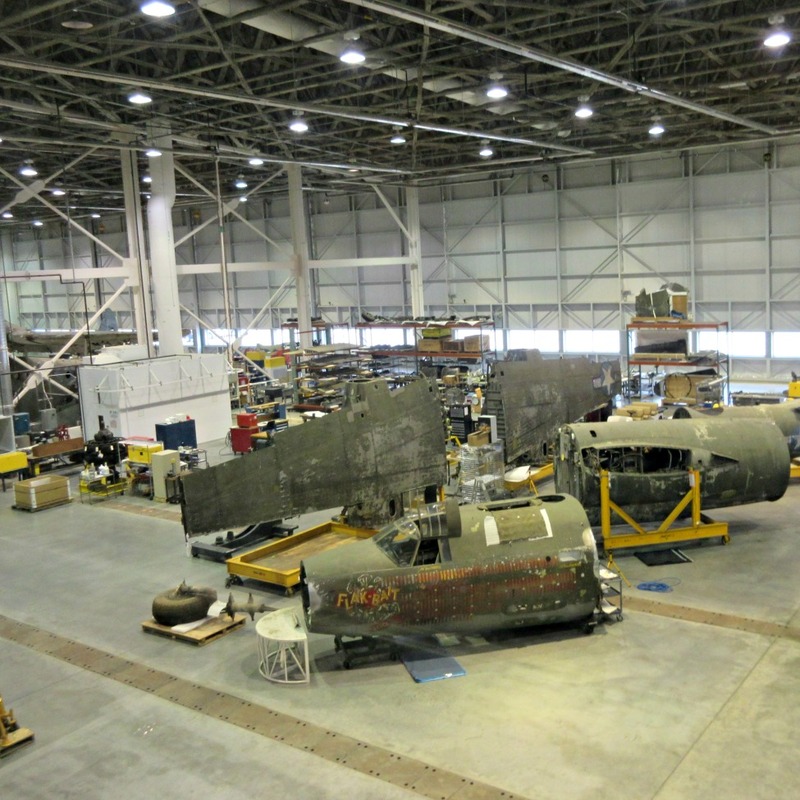 The museum has expanded recently, and now guests can also watch aircraft restoration and preservation efforts from a viewing platform over the Mary Baker Engen Restoration Hangar. Outside food and drink are not permitted at the museum (although I have never had a problem bringing in a sippy cup and goldfish crackers). There is a rather large McDonalds on site and many restaurants in the surrounding area. Additionally, there is a very nice gift shop with lots of fun aviation-themed toys. 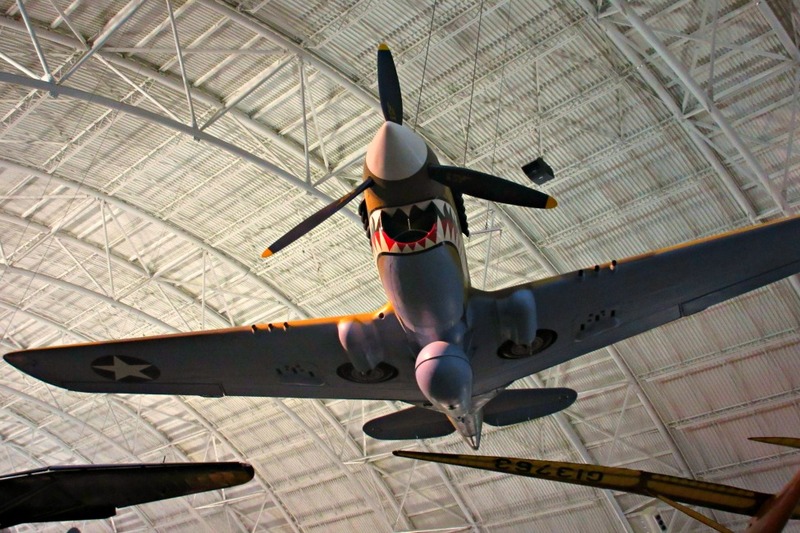 Since the Udvar-Hazy Center is part of the Smithsonian Museums, entrance is free.. but there is a catch. Parking is not free and you can’t take public transportation there. Parking is $15 per vehicle. Of course, a family of four riding the metro in downtown DC could easily spend $15 as well. So, I suppose it all works out in the end. Either way, that cost is totally worth it to visit this museum. You might be wondering if this museum is appropriate for young children. Absolutely! We have brought Sweet Pea here at least three times since she was born (she is only 2 1/2 year old). Each time she oooh’d and awww’d. On our recent visit she actually gasped, ‘ooooh! Wow!’ Let me tell you, that made her aerospace engineer Daddy very happy. It also makes me, as her Mommy happy. This museum is a perfect ‘Mighty Girl’ activity and a great counterpoint to princesses and ponies. If in doubt at all, bring your stroller. This museum is super big and even if your kid has a ton of stamina, by the end of the day you will both be glad the stroller is an option. Wear very comfortable shoes… or you may want to ride in the stroller yourself. Plan to spend at least 3 to 4 hours here. However, if you want to beat DC commuter traffic, I would recommend arriving between 10-11AM and leaving before 3PM. The museum is very stroller friendly and completely wheelchair accessible (wheelchairs are allowed in the observation tower. Strollers are not). Anyhow, I can’t recommend this museum highly enough to do it justice. Make time to drive out to Chantilly and see why. You will not regret it! Love this museum! Definitely worth the parking fee!